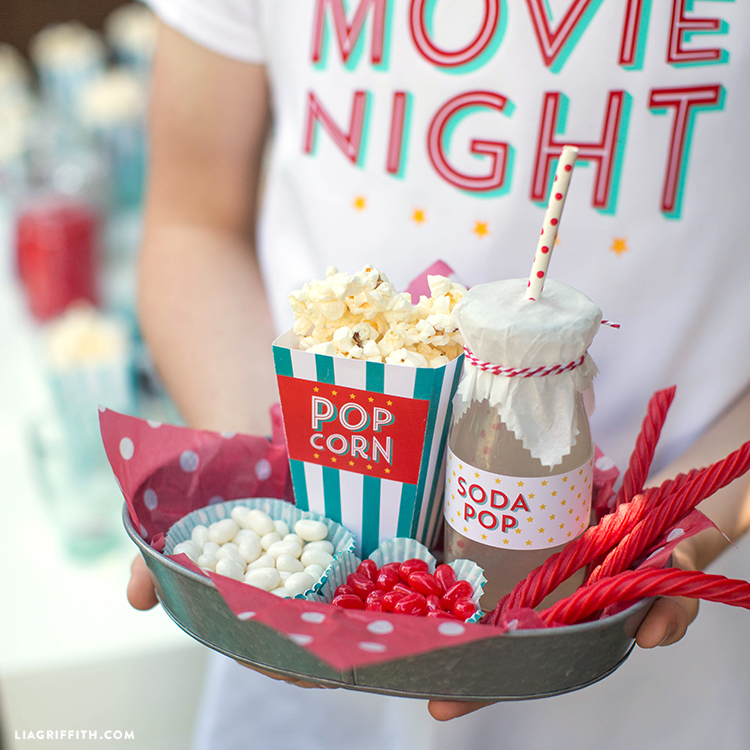 Looking for more DIY party ideas for movie nights in your backyard? 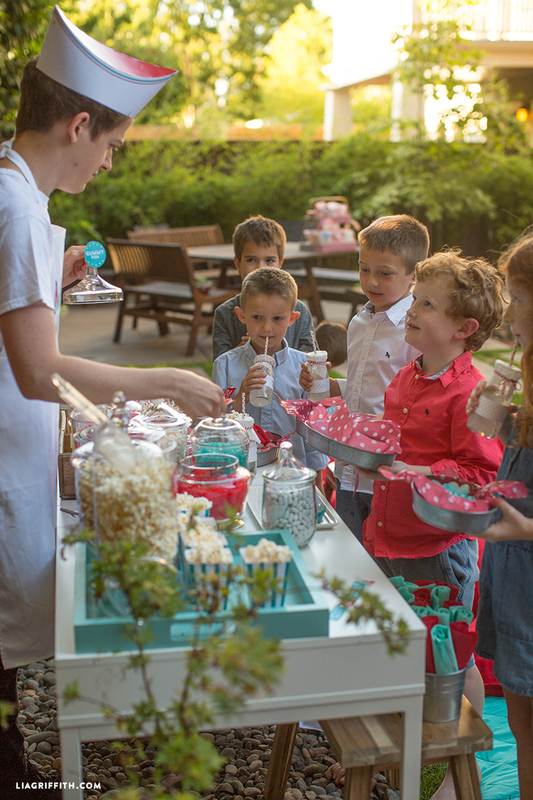 We’ve got plenty! 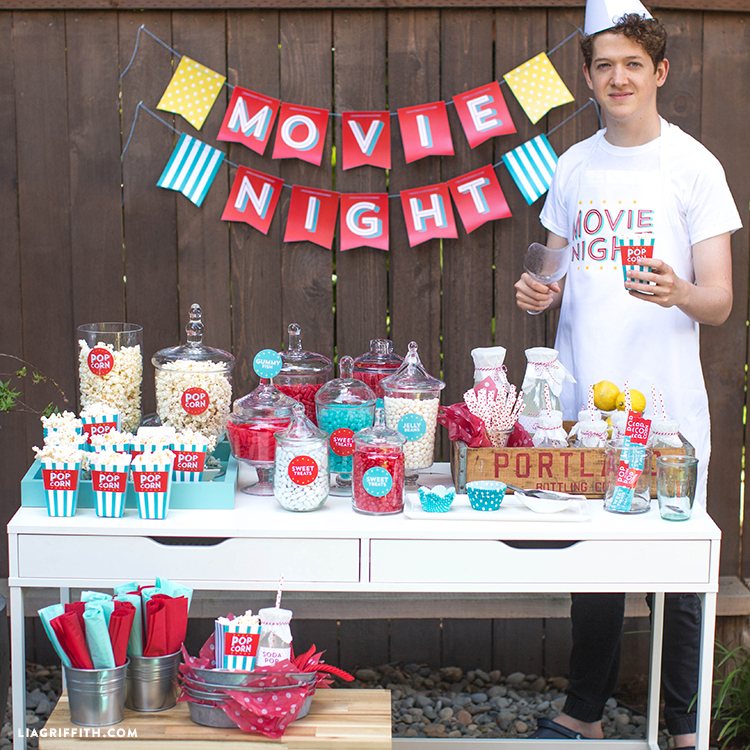 First, you need an outdoor movie screen. 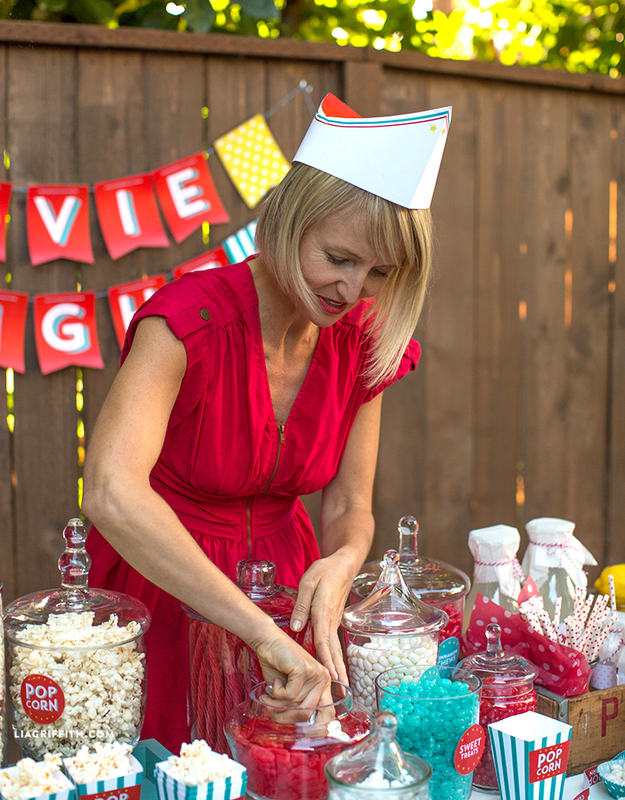 Once you have that in place, the possibilities for creativity are endless. 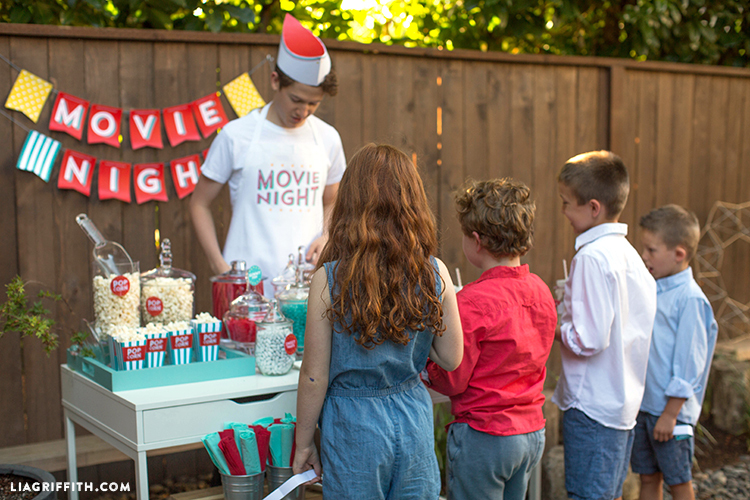 While your party themes can vary, we think every good movie night includes a concession stand with popcorn and candy. Don’t you agree? 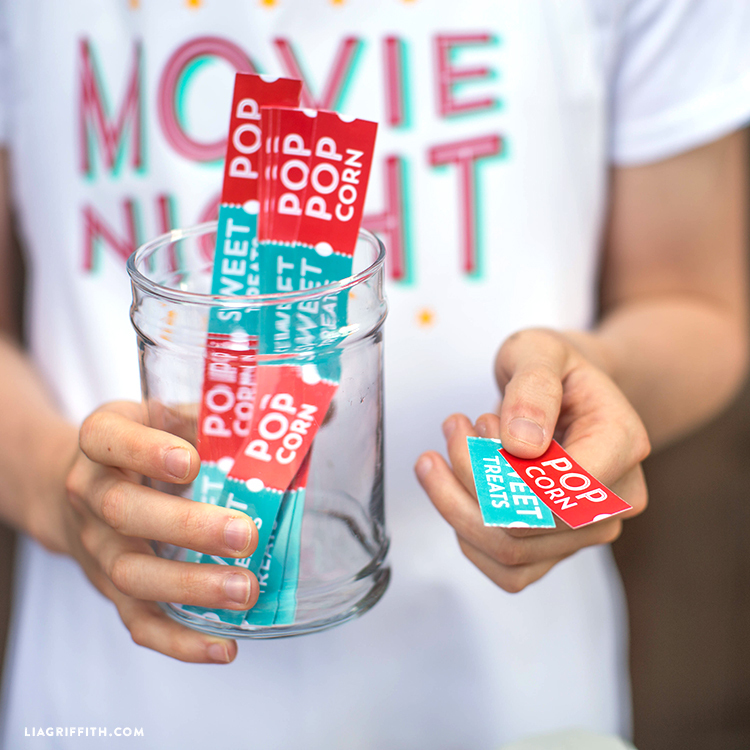 A few days ago, we shared free printables for popcorn boxes and other simple party supplies you can make. 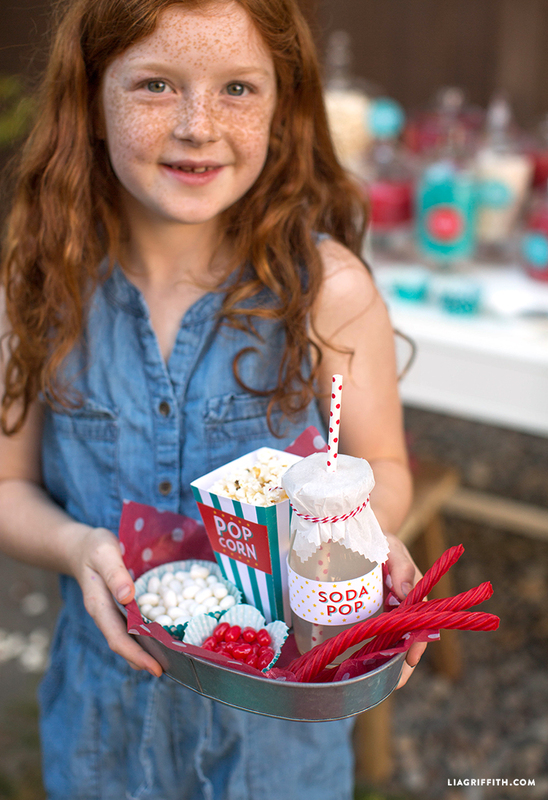 Now it’s time for a quick and easy craft for those of us with a sweet tooth! 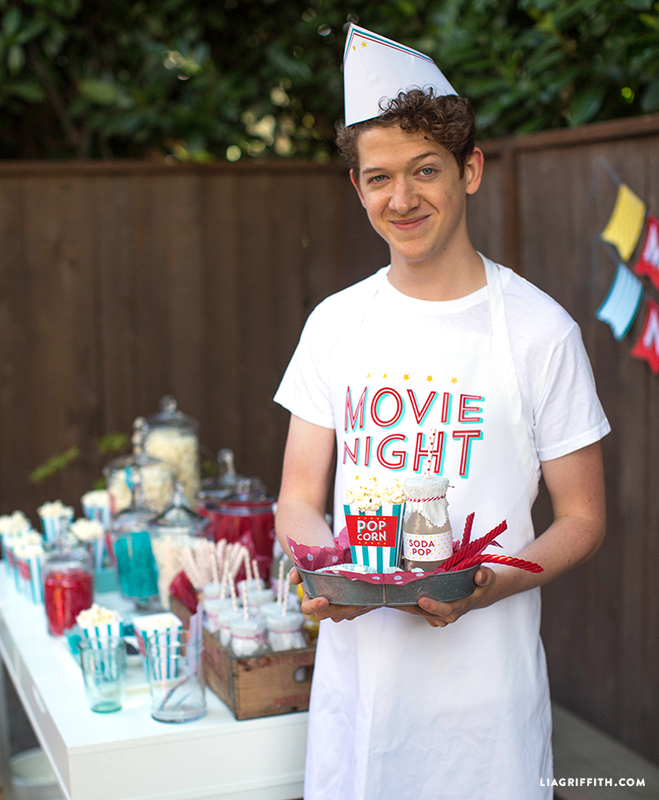 To make your outdoor movie theater seem like the real deal, here is a simple concession stand you can make for everyone to enjoy. 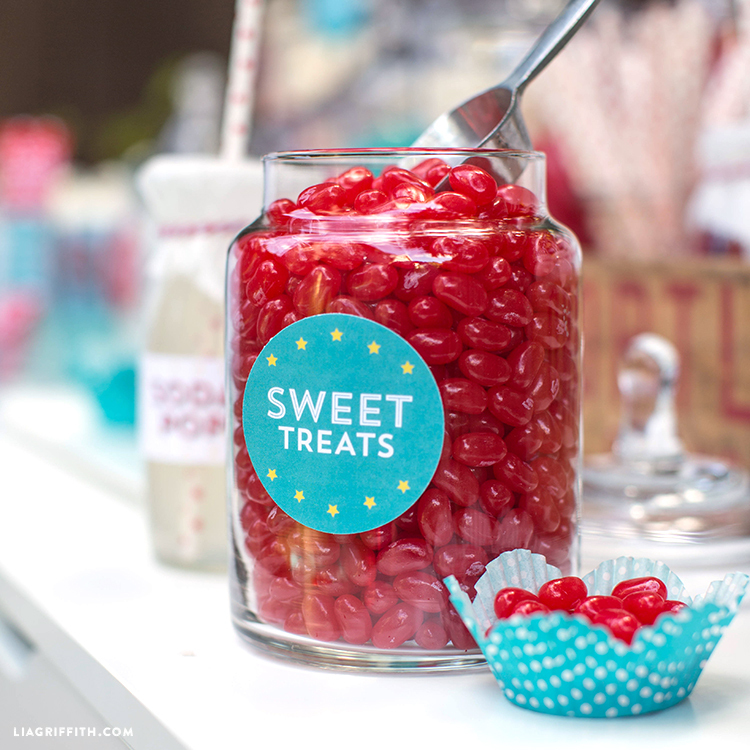 While it’s easy to just eat sweets straight from the bag, we think it’s more fun to fill a few jars with your favorite candy and stick our printable labels on them. 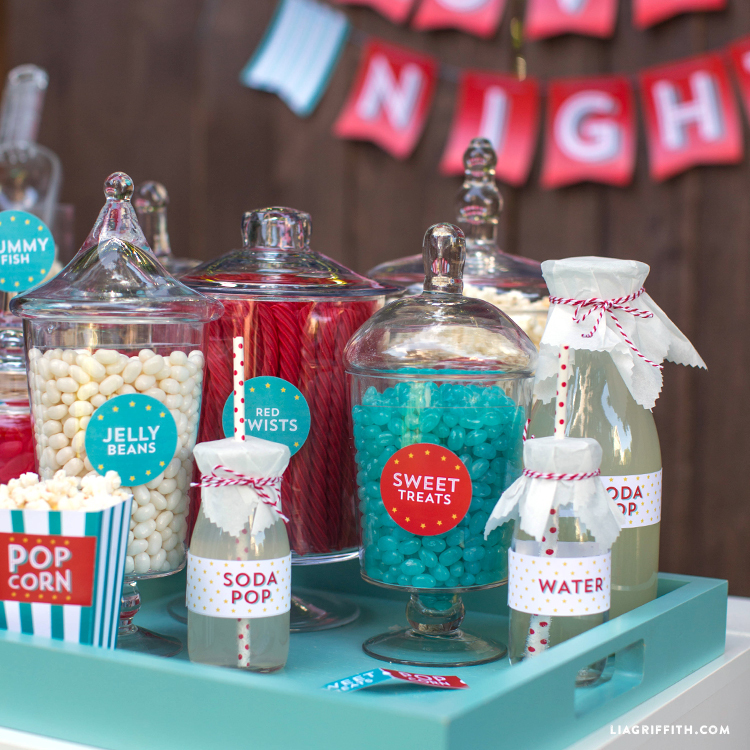 Don’t see the candy you love on this printable? 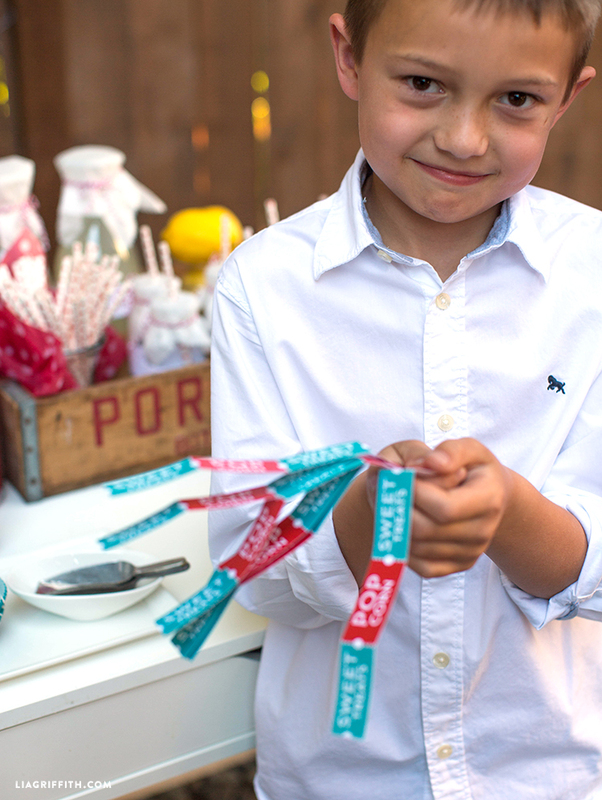 That’s where our “sweet treats” label comes in handy! You can also use this printable to make concession stand tickets and pass them out to people as they line up for popcorn and sweet treats. 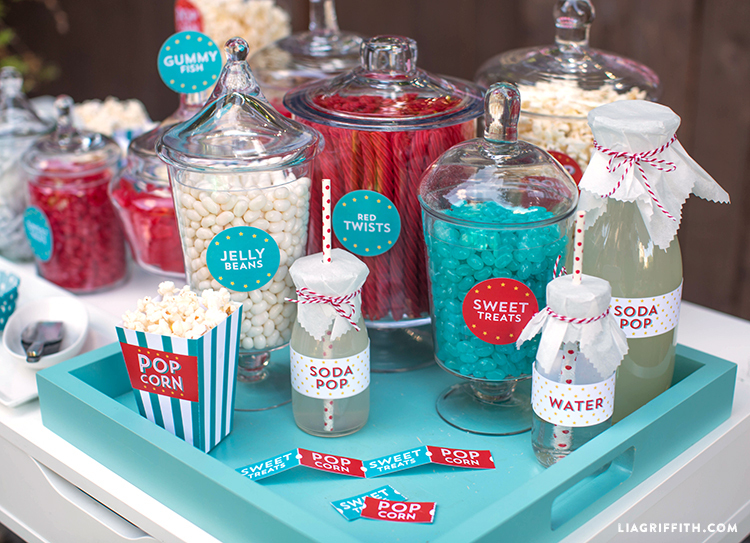 Since you probably don’t have an endless supply of snacks, this is also a cute way to limit your guests (or your kids!) to a couple treats each. 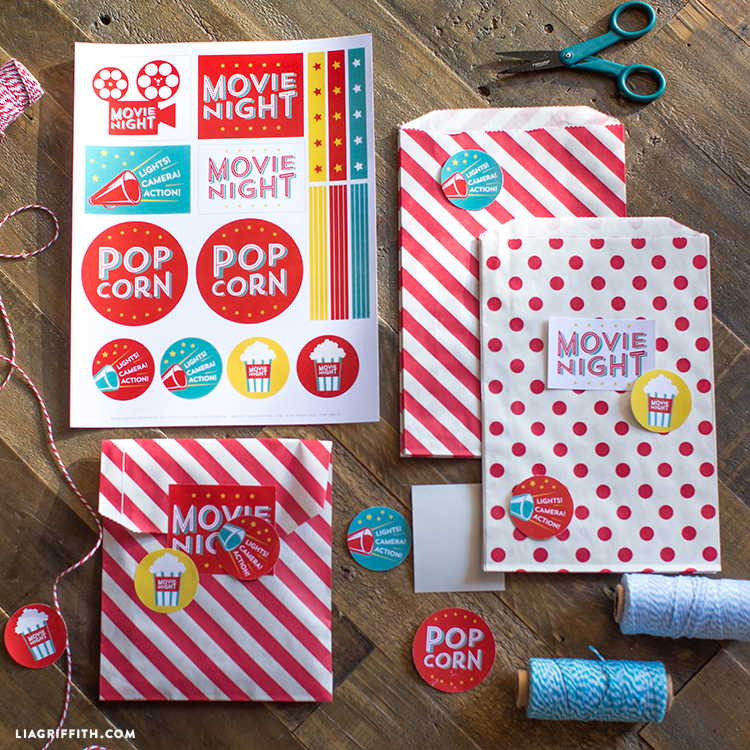 Ready to make this craft? 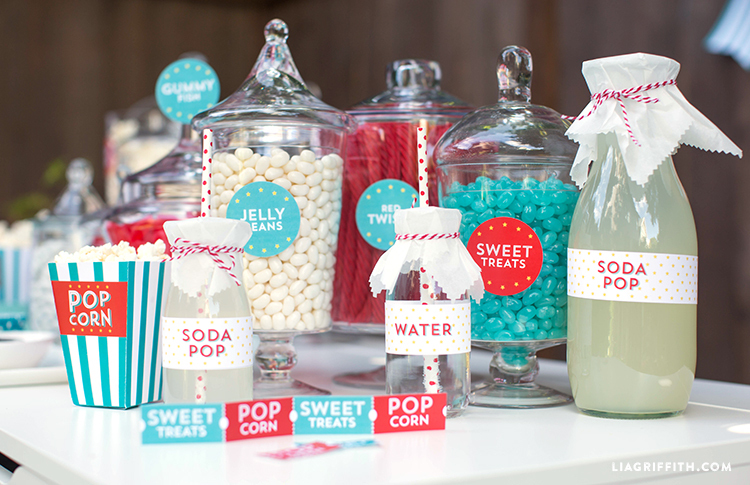 All you need is white cardstock and label paper to make these printable candy jar labels and concession stand tickets. 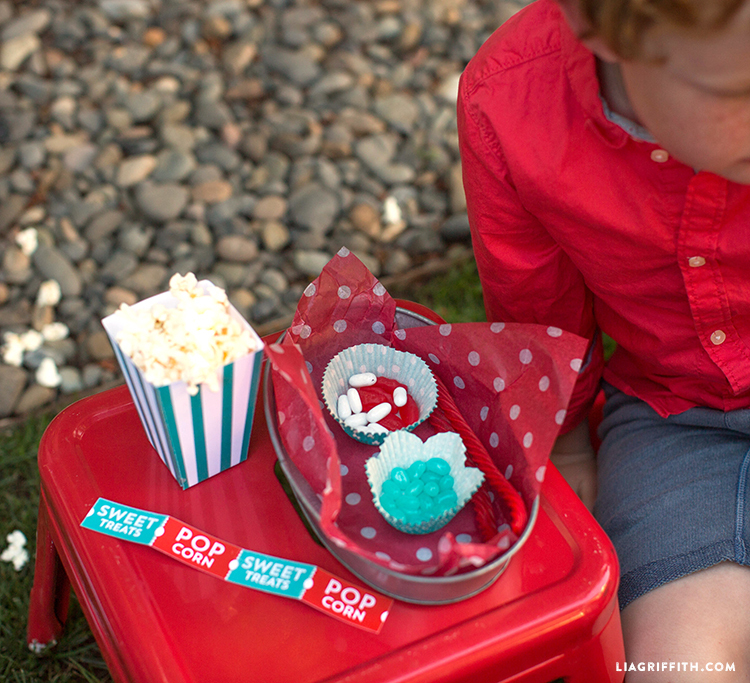 When you’re done setting up your next outdoor movie night, don’t forget to share it with us by using the hashtag #MadeWithLia on Instagram or Facebook. 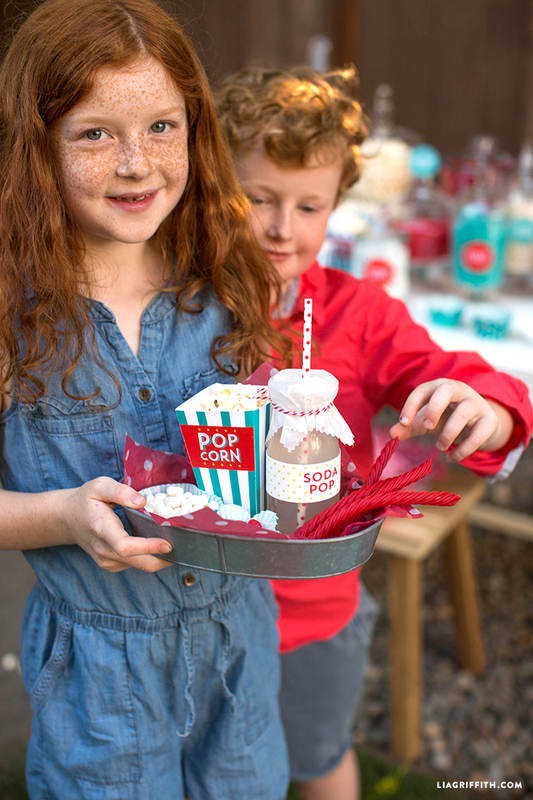 We always love seeing how you use our DIY party supplies! 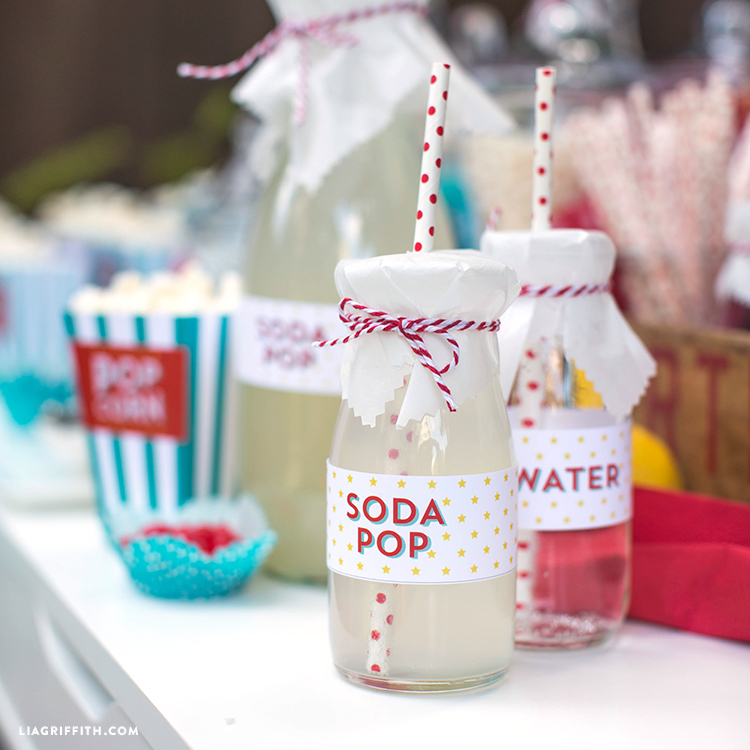 Want access to our complete library of DIY projects? Become a member!